Board members met on February 18th to catch up on on-going business, plan upcoming events, and most importantly, to welcome new members Richard Grant and Cornelius “CP” Chima. 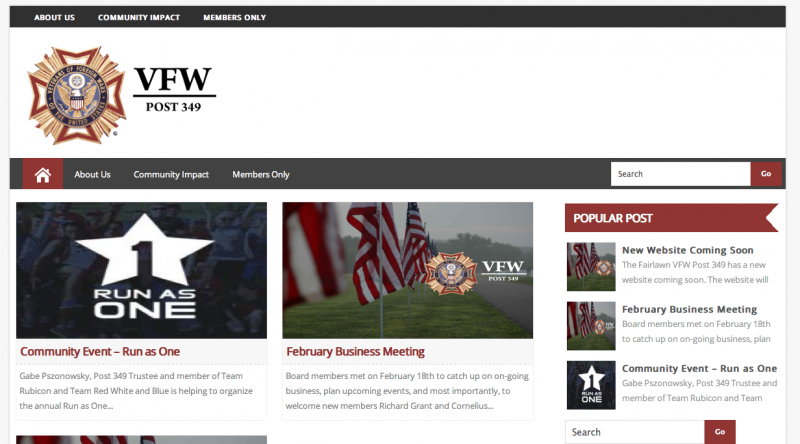 Ongoing business items discussed included our efforts to complete membership records (DD214 and membership application) required by VFW National, and an update on this websites progress. The board members also discussed their desire to record the experiences of all members, especially those who are WWII and Korea veterans. New business discussed included planning for the upcoming dinner meeting in May. There will be a big push to organize this event, and if you have ideas on topics, please feel free to forward them to Gabe Pszonowsky. The next business meeting is scheduled for March 18th.